Our technology delivers digital credentials solutions serving a multitude of industries that rely on applications for issuing, storing, authorizing, consuming, verifying and displaying high-stakes digital badges (also known as open badges, or digital credentials). If you have a need to issue, verify or even publish digital credentials, join the leading companies creating and trusting TrueCred®. 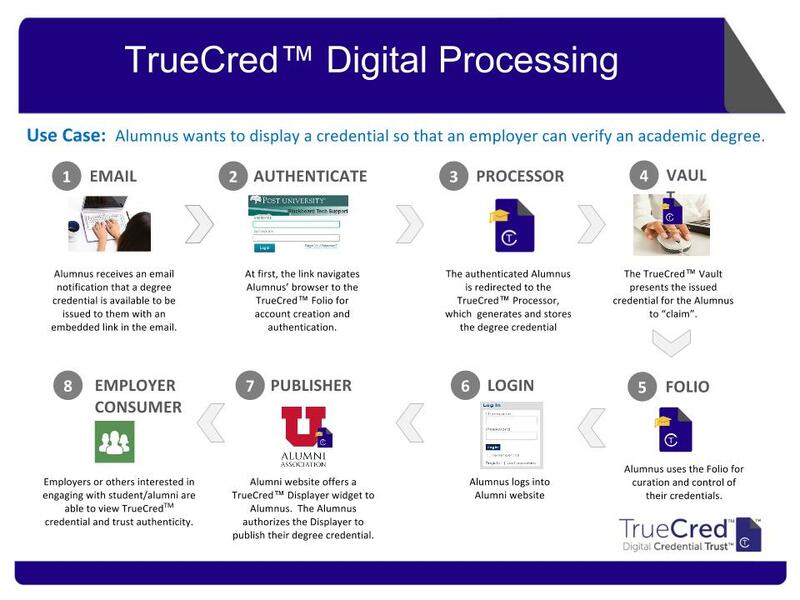 TrueCred® means verified, secure digital credentials. Contact us today to discuss your Use Case to see how TrueCred® can deliver a better credentials experience!